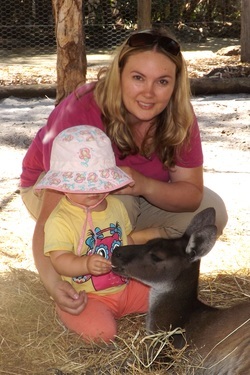 Dr. Brianne Appleby has been with us as a veterinarian for over 7 years now after a 6 year adventure of living abroad and attending vet school at Murdoch University in Australia. She is the daughter of Dr. Chris Appleby and grew up watching and helping her mother with surgery and animal care. She developed a passion for helping animals and was often seen at the hospital, working after school and on school breaks. Brianne is very happy to be practicing in her home town and living her dream of practicing veterinary medicine. Dr. Appleby has a special interest in ultrasound technology and has completed certification courses. Brianne also has a passion for graphic design. She designed the hospital website, including the icons beside the headings. In her spare time, she enjoys outdoor activities such as camping and hiking with her husband and 4 year old daughter. Dr. Appleby's furkids include a 2 year old French Bulldog named 'Mack' she adopted in 2017 (who is the clown of the family), a cat; 'Koko', who is an unusual 16 year old Ragdoll who likes to play hide and seek. Dr. Baker comes from a long-line of veterinarians. She began her career at the age of five, helping her father and grandfather (both veterinarians) in their Montreal veterinary practice. 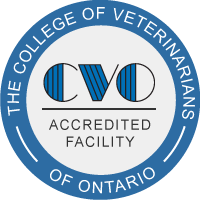 Dr. Baker graduated from the Ontario Veterinary College in Guelph, Ontario in 1983. After several years at the Alta Vista Animal Hospital, in 1990 she joined our team and has been with us for over 20 years! Dr. Baker enjoys all aspects of veterinary medicine, especially meeting pets and their owners. She has developed a unique way of communicating with pets and brings a refreshing sense of humour to our practice. Dr. Baker enjoys gardening, skiing, sailing, dragon boating and running with her husband and her son. She is an avid soccer and ski mom; see can often be seen at games, cheering on her son. Her dogs -- Oscar & Sprout, and her cats - Leo and Becks, are important family members who share her country home. Dr. Appleby established the Arnprior Animal Hospital in 1981 following graduation from the Ontario Veterinary College in 1980. She enjoys all aspects of veterinary medicine, especially surgery. Dr. Appleby was very proud to welcome her daughter, Dr. Brianne Appleby, to our practice in 2011. She enjoys working with her daughter and together they like to share new ideas about veterinary medicine and surgery. Dr. Appleby enjoys travelling, scuba diving and outdoor activities, especially dragon boating. She is often seen at sporting events cheering on her two younger children, Mikaela and Ryan. She also shares her home with two dogs - Aussie, an adorable golden retriever and Maddie, a playful black and white Labradoodle.